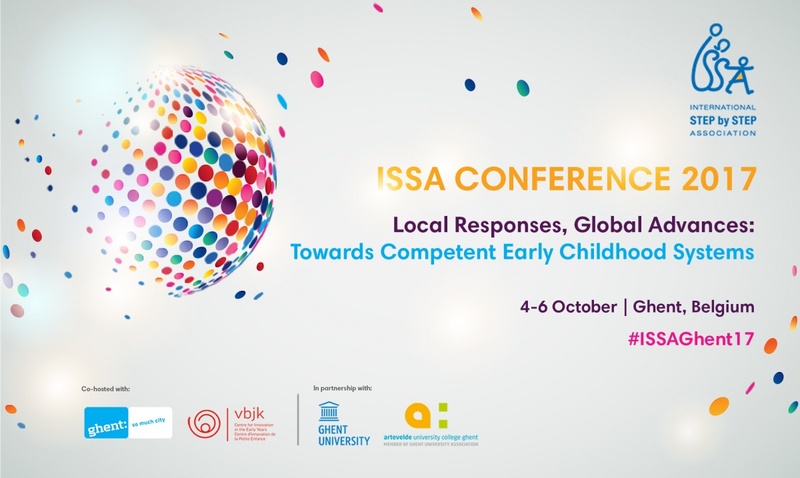 Every year ISSA hosts an international conference on an important theme around Early Childhood. This year's focus is "Local Responses, Global Advances. Towards Competent Early Childhood Systems". The ISSA 2017 Conference will take place in Ghent, Belgium between 4 - 6 October. You can now find the more detailed conference program on the special conference website. The program includes important information about sessions and events that are held before and during these days. On October 3rd, three interesting pre-conference events are hosted. And during the conference, field visits to 6 child care facilities of the City and 6 schools are organized. For the first time ISSA has joint forces with a municipality as well as an ISSA member organization to co-host the conference. The City of Ghent has long been at the vanguard of early childhood development services and in conjunction with VBJK, and conference partners Artevelde University College and Ghent University, we welcome everyone concerned with the care and education of young children. Register if you want to attend the ISSA 2017 conference.